Your favorite product: Piercing in the nose with a hooked end with a zirconia E2.19 - is added to the wish list. Your favorite product: Piercing in the eyebrow - is added to the wish list. A steel piercing to the eyebrows in the shape of two-tone stars. Your favorite product: Puzetové earrings made of steel 316L with a semi and a pink zirkonkem X03.13 - is added to the wish list. 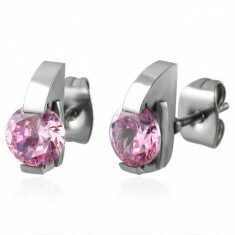 Earrings made of surgical steel silver color with amount pink zirconia, puzetové fastening. 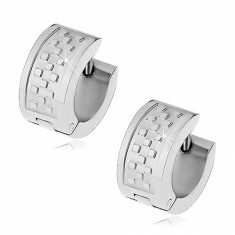 Your favorite product: Earrings made of surgical steel with motive traces of G3.9 - is added to the wish list. 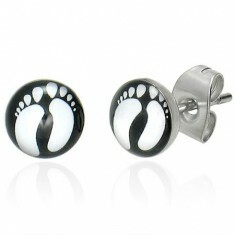 Steel earrings with a print of white feet. Your favorite product: Earrings made of surgical steel red heart with an arrow G6.20 - is added to the wish list. 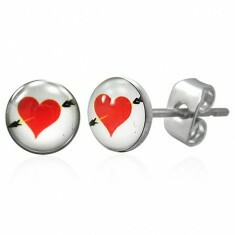 Steel earrings with puzetovým button fastening, a red heart pierced by an arrow on a white background. 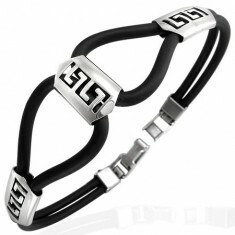 Your favorite product: Earrings made of surgical steel with a coloured spiral, puzetky G16.24 - is added to the wish list. Earrings made of steel 316L with a picture of brightly colored spirals, puzetové fastening. Your favorite product: Earrings made of surgical steel with shiny and matt keys X04.11 - is added to the wish list. 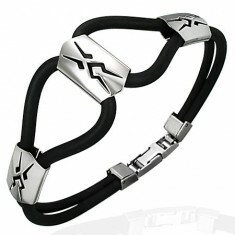 Articulated steel earrings silver color arrow in a rectangle, shiny-matte combination. 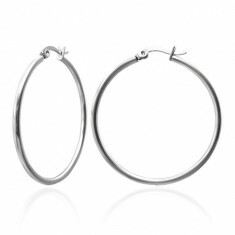 Your favorite product: Earrings made of surgical steel silver color, circles, 20 mm X03.03 - is added to the wish list. Steel puzetové earrings in the shape of the unfinished circle, silver shade. 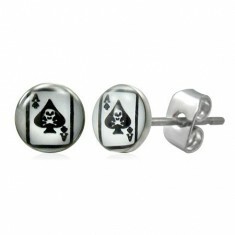 Your favorite product: Earrings made of surgical steel with the card the ace of spades AB28.21 - is added to the wish list. Surgical steel earrings with pikovým ace and skull inside, puzetové fastening. 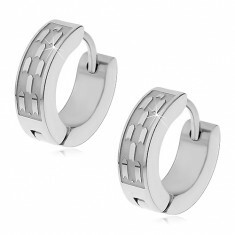 Your favorite product: Articulated earrings surgical steel silver color, pattern checkerboard G16.22 - is added to the wish list. Steel earrings in a silver shade, small squares, glossy-matte finish, articulated fastening. 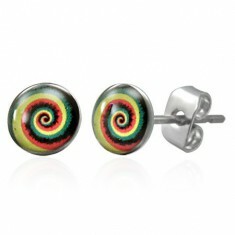 Your favorite product: Earrings made of steel with a picture of spiral Hypno G8.24 - is added to the wish list. 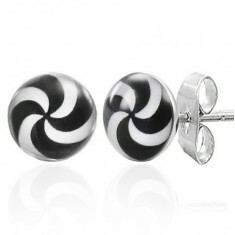 Earrings with black - and- white spiral made of surgical steel. 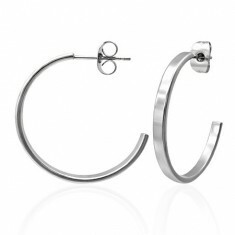 Your favorite product: Earrings made of surgical steel large circles, silver color G21.7 - is added to the wish list. Steel earrings - simple large circles in a silver hue, glossy and smooth surface.